If you are a Linux desktop user, it is time to get very excited. Why? Because Dell has finally refreshed its XPS 13 Developer Edition laptop -- a very well-respected machine. Don't let the "Developer" in the name scare you -- it not only a great computer for devs, but home users, business users, and students too. This "Developer Edition" moniker simply indicates it is pre-loaded with Ubuntu Linux. This newest version of the notebook, dubbed "9380," continues with Dell's focus on beauty and thinness, but it now has improved specs. Webcam users in particular will be delighted to know that the newest XPS 13 now has the camera on the top of the display rather than the bottom! Yes, there will be no more showing off the inside of your nostrils while video-conferencing. 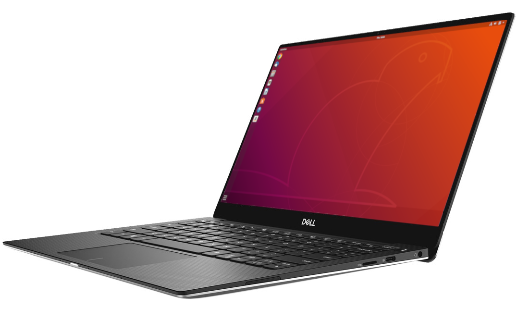 "The 9380 represents the eighth generation of Dell’s Ubuntu-based XPS 13 developer edition series. The first generation of the developer edition debuted over six years ago and it, along with the Ubuntu-based Precision mobile workstations that launched in 2015, make up Project Sputnik. In case you’re not familiar with it, Project Sputnik is Dell’s skunkworks initiative driven by input from the developer community," says Barton George, Project Sputnik and Linux Lead at Dell. George further says, "Although there are many great features and specs that characterize the latest developer edition, the one that will likely bring the most joy is the new placement of the webcam. In the 9370 the camera is located directly below the screen. In the new 9380 the camera has been moved to the top, providing a much more flattering view of the user while still maintaining the system’s sleek, compact design. Not only that but the 8th generation developer edition supports suspend-to-idle natively which allows the system to resume much more quickly from sleep." Dell shares the following features and specifications. Buyers can opt for different configurations with options for processors, RAM, storage, and resolution. Thankfully, the Dell XPS 13 (9380) Developer Edition launch is not only a USA affair. Actually, it is also available online for those in Canada and Europe too. Since "Europe" is fairly vague, Dell shares the following list of countries. For whatever reason, those in the UK cannot yet buy it from the online store, with Dell saying they must purchase it over chat. Oh well. Want to buy your own Dell XPS 13 (9380) Developer Edition laptop? You can do so here. If you do purchase one, please tell me the configuration you chose in the comments below.